The global diamond industry has announced the establishment of World Diamond Mark, an international non-profit marketing organization funded under the initiative of mid-tier players. Jeweller Magazine reports that the founding of the World Diamond Mark initiative was announced at the 35th World Diamond Congress in Mumbai, India by Rami Baron, the vice president of the Trade and Promotion Commission of the World Federation of Diamond Bourses. The goal of the initiative is to provide the international diamond and diamond jewellery industries with a single marketing body of global reach and influence. 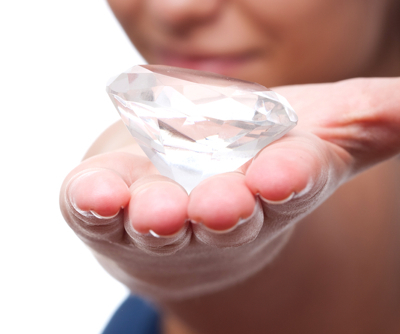 According to Baron the decision to establish a unified marketing organization was reached following extensive discussions, with initial seed capital provided by sightholders and manufacturers as opposed to diamond miners who have traditionally funded efforts to promote and market precious gems. The initiative will see the establishment of the largest accreditation and marketing program in the diamond industry's history, as well as the Authorized Diamond Dealers strategy plan for boosting industry-wide returns.